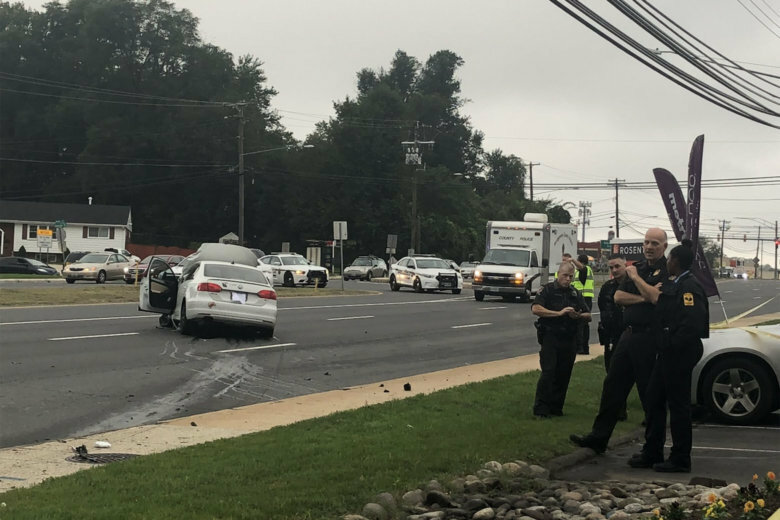 More pedestrians are being killed on Virginia’s roads, but safety strategies implemented at problem-prone areas are working according to a highway safety update presented to the National Capital Region Transportation Planning Board. 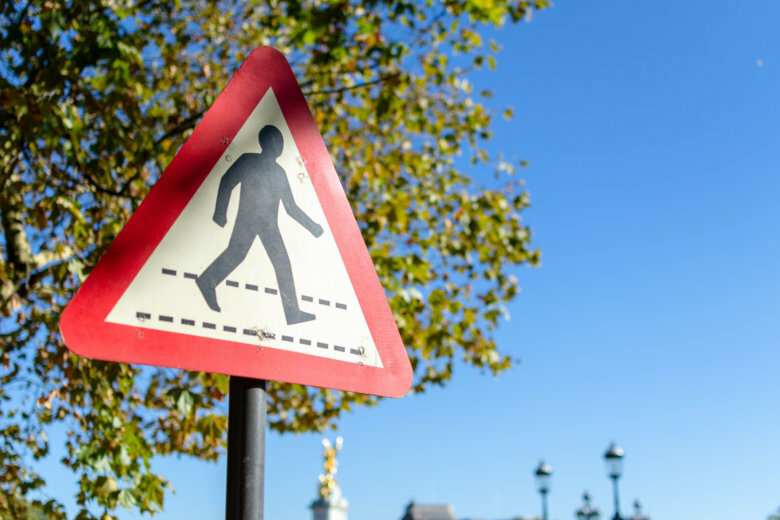 A new study shows more pedestrians have died in the United States in any year since 1990. 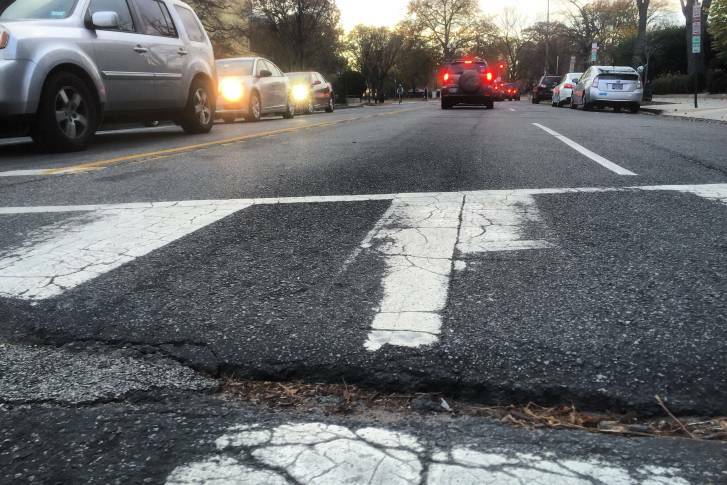 Pedestrian fatalities have also been on the rise in D.C., Maryland and Virginia. Montgomery County police says that once we turn our clocks back in November, the shorter daylight often leads to more accidents. Officials offer tips to keep yourself safe this time of year. 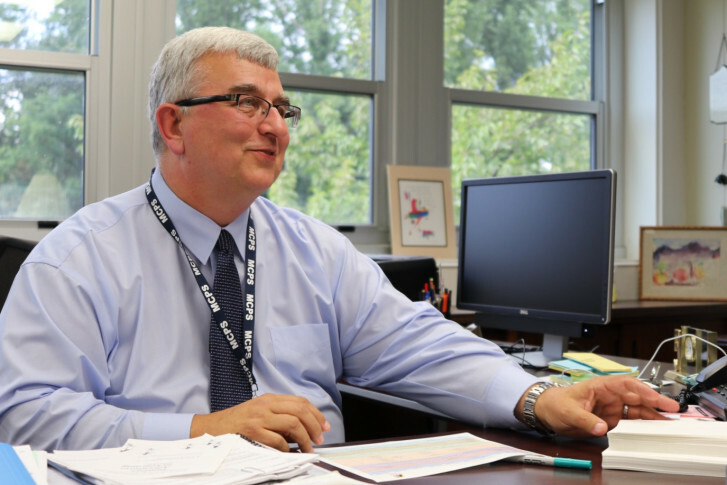 As local and state officials consider what can be done to improve pedestrian safety, the head of public schools says a proven technique is already being used: Teach the kids. In a letter to Maryland Gov. Larry Hogan and Maryland Department of Transportation Secretary Pete Rahn, members of the Montgomery County Council say the speed limit along Georgia Avenue-Maryland Route 97 — 45 mph — “is much too high” for the suburban area. 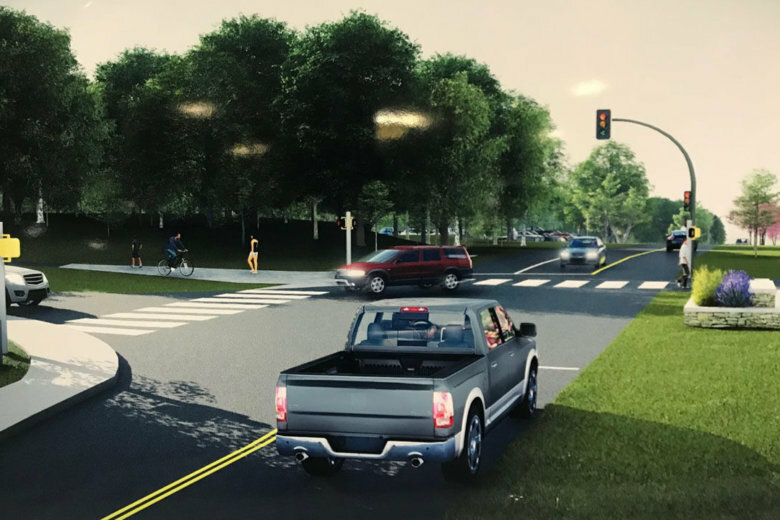 Montgomery County engineers are nearing final plans to strengthen safety for hikers and bikers on the county’s most popular trail, the Capital Crescent. See photos of the proposed options. 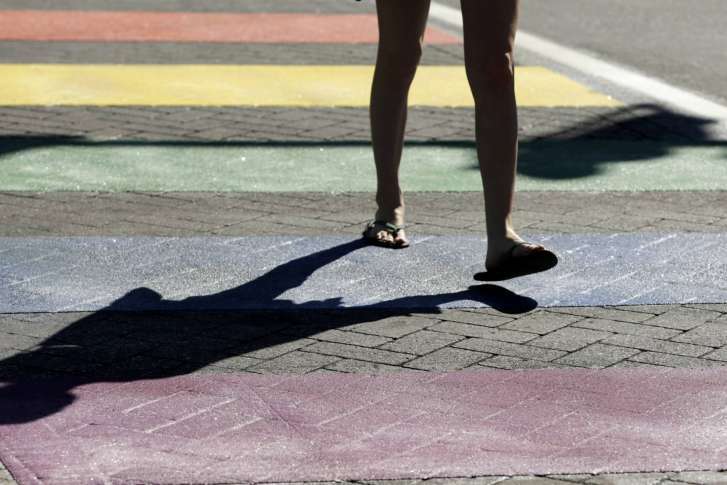 Virginia laws meant to protect people walking around are not as specific as the laws requiring drivers to stop for pedestrians in Maryland and D.C., so there is another push for changes planned this winter. 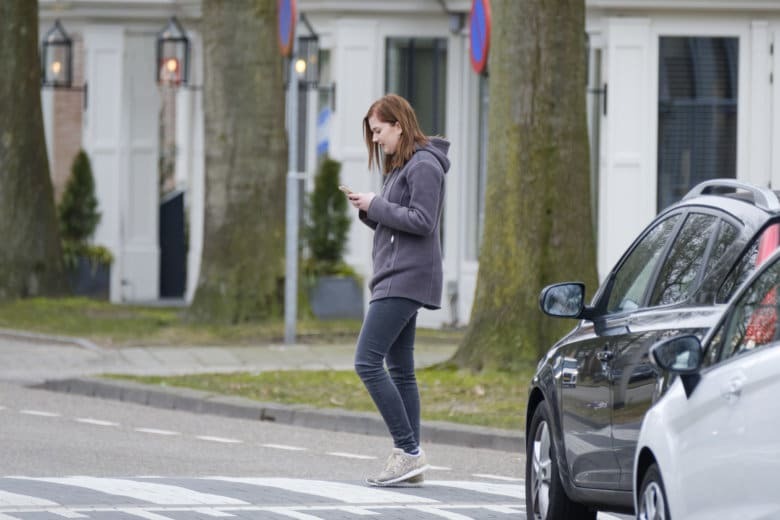 As families prepare for the upcoming school year, high school students around the country are sharing concerns about pedestrian safety. 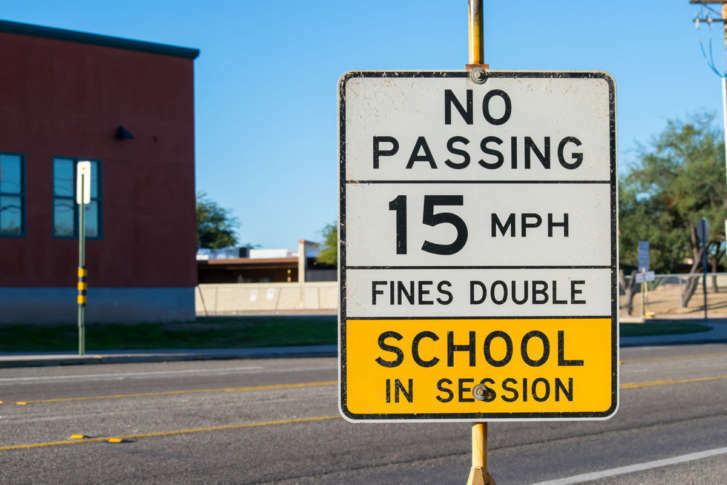 About 73 percent of students said they feel unsafe at intersections, according to a new study. The “Five Points” intersection in Arlington’s Cherrydale neighborhood is now getting some major upgrades: New traffic equipment, wider crosswalks and improved bus stops. 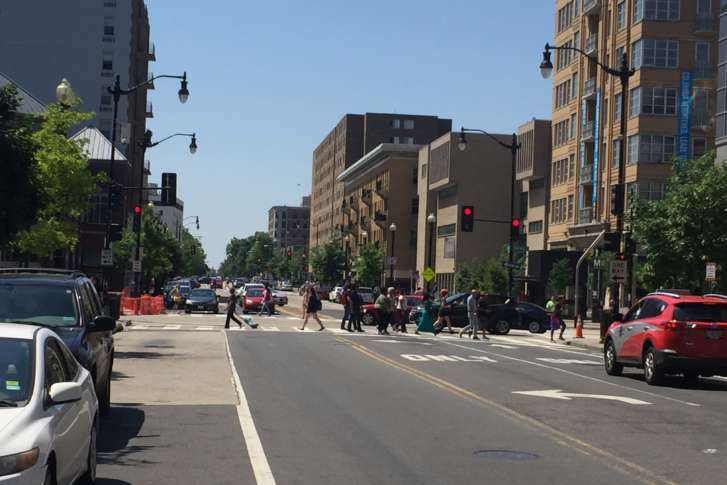 Construction projects that will improve safety for pedestrians and bicyclists in Arlington County could get underway as early as August. 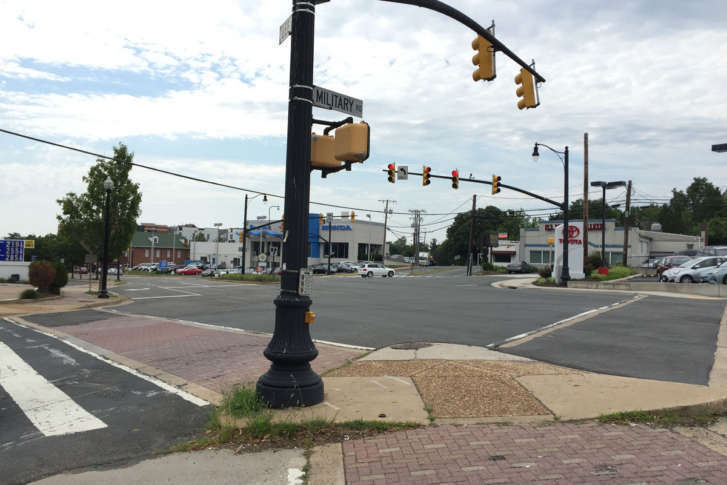 The District Department of Transportation says the intersection of 14th and Irving streets Northwest will soon be the site of what’s called a “Barnes dance” crossing. 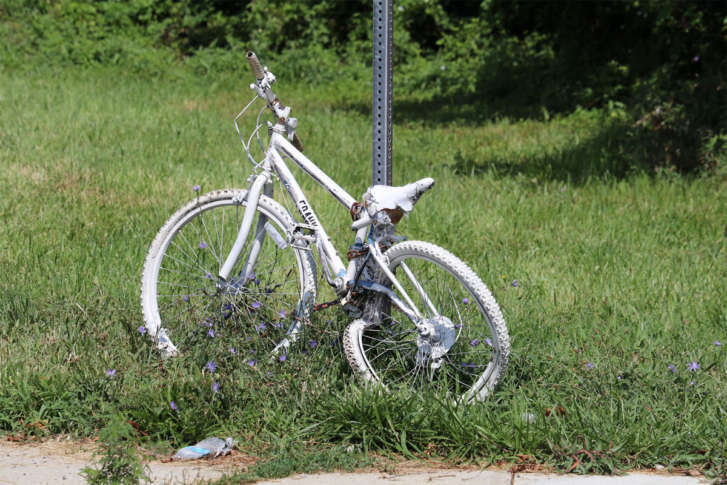 The deaths of two cyclists at the same Montgomery County intersection has spurred changes to Maryland law, making it easier to prosecute drivers who fatally strike cyclists. Maryland Gov. Larry Hogan signed the loophole-closing bills into law Thursday. At Md. 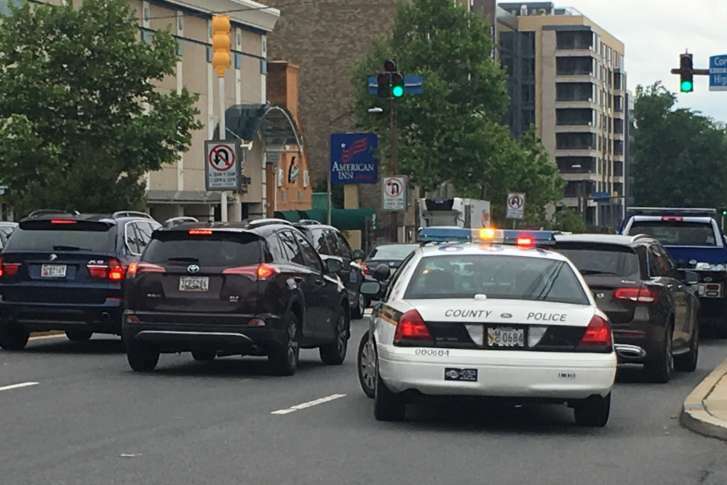 Route 355 and Chase Avenue in Bethesda, Montgomery County police officers crossed the street in marked, but “un-signalized” crosswalks to issue citations to drivers who didn’t stop. 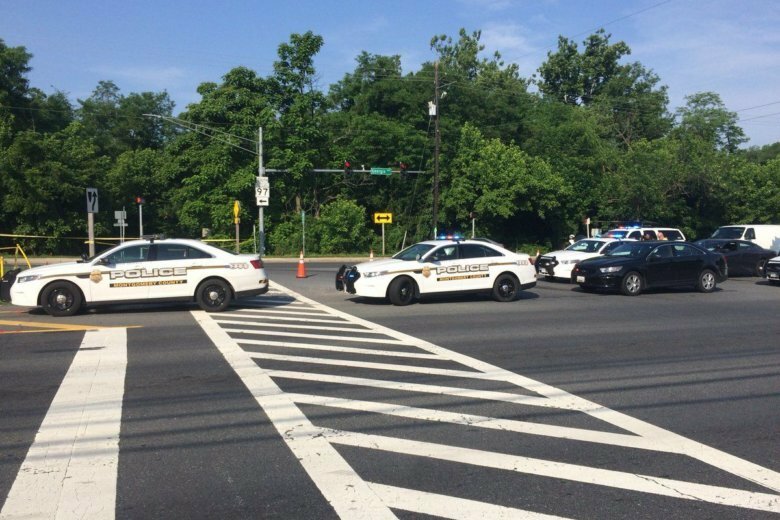 Preliminary data from local police departments in Maryland, Virginia and the District show that pedestrian deaths are down 36 percent compared to this time last year. So far this year, 23 pedestrians have been struck and killed. By contrast, at the end of August 2015, 36 pedestrians had died.